Signing up for a gym membership can be a fruitful experience for some, as they use it frequently and see the results they had hoped for when signing up. For others, it can be an entirely wasteful experience; one where they see the inside of the gym the day they sign up and literally never again. Even couch potatoes with the best intentions can find it hard to get up and find motivation or inspiration in the gym. 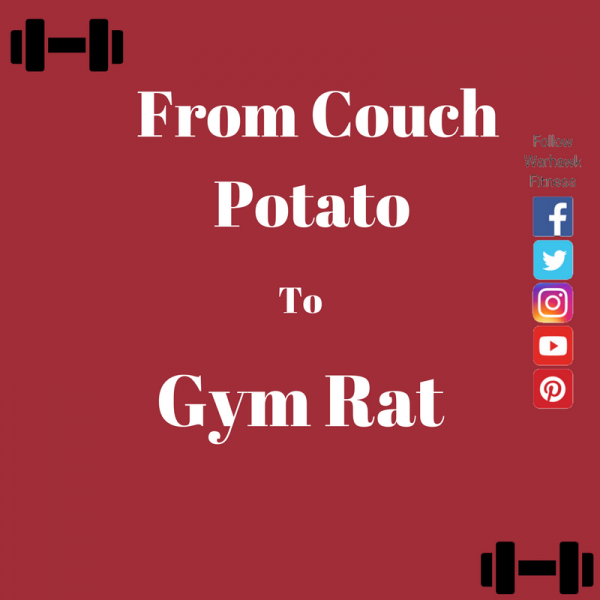 So here are a few tips to get you from couch potato to gym rat! Avoid the Crowds—Going to the gym during peak times can be frustrating. There are a ton of people there, all the machines are taken, and finding free weights can be like looking for a needle in a hay stack. Ask the desk attendant which times are generally busy and which aren’t. Change your workout time to a slower time that fits in your schedule and you’ll find that your workout is completely changed. Use Every Piece of Equipment At least Once—You might have a plan that utilizes the machines that focus on what you want to see results in, but it’s easy to fall into a rut and plateau on your results. If you make a point to use the entire variety of machines your gym offers, it makes it easier and less intimidating to try out a new exercise or machine to kick start yourself again. Take Every Class at Least once—If your gym offers them, you should try every class they offer at least once. This not only kick starts your results but it can also teach you something new to try, as well as possibly introduce you to a new type of class or exercise that you didn’t know you liked. It’s also a great way to get a workout in without the intimidation of free weights and machines. Try a new workout every time you go—When you’re first starting, or even if you’re a seasoned gym rat, doing the same workout day in and day out can get boring and make you lose interest in going to the gym. Try a different couple of exercises or even an entirely new circuit every time you go to the gym or even every other time to avoid boredom, and make it so that you look forward to the workout! Thanks For Reading, and enjoy your workout! You can not go to the gym wearing just anything! Before heading off to the gym, it is important to make sure you are dressed the right way. Nothing is worse than being uncomfortable during the middle of your workout. It is helpful to wear clothes at the gym that will improve your ability accomplish your fitness goals. Try picking a breathable material like cotton or polyester. It is important to pick a material that will not trap in all of your body’s heat. It’s a good idea to look for clothing that is able to handle all of your sweat during your workout. A t-shirt or lightweight sweatshirt are both great options. It is best to pick a shirt that is form fitting and will stay in place, but also make sure the shirt is not so tight that it restricts movement. For many women, choosing to wear a sports bra provides extra support and comfort during their workout. Sweat pants, shorts, and leggings are all great options to wear to the gym. Making sure your bottoms are flexible is what is the most essential. It is important that you have a full range of motion in whatever you are wearing. Keep in mind that you will stay cooler when wearing shorts verses when wearing long pants. Choosing materials that are lightweight and breathable can help keep your body cooler while being active. Choosing the right shoes to wear to the gym is the most import part of your outfit. Make sure you wear shoes with a lot of support. Pick shoes that fit right and are nice and secure on your feet. Depending on what activity you are going to be doing at the gym, the type of shoe you wear may vary. It is a good idea to do a little research and find the best fit for you personally. Running shoes tend to be a good option for someone who will be doing various types of activities. Another tip is to wear light-weight socks to help keep your feet cooler. 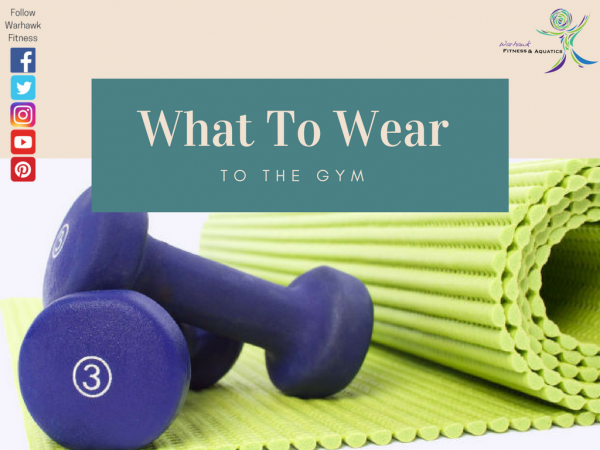 These are just a few general guidelines to help you find the right clothes to wear to the gym. Try out a few different types of clothing to figure out what fits the best for your body and your workout. It can be helpful to look for options and styles that are specifically for your body type. Now next time you hit the gym, you will have the perfect outfit for your workout. Summer is undeniably about getting together with friends or family, and catching up with a bite to eat. That smoky smell of the grill lingers through the air as you kick back and relax, enjoying an ice cold soda. I mean come on, who doesn’t love that, right? Not so fast; however, before you know it, a simple cookout with your friends could cause you to consume double your normal caloric diet in a day. 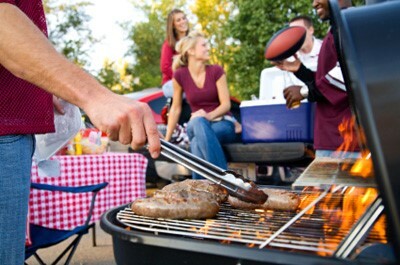 There are many average cookout foods (and drinks) that you may want to think twice about before you load up your plate. I am going to give you a few pointers before you plan your next get together. First and foremost, check the quantity of food that ends up on your plate. With a big spread of food, I know it can be quite challenging not to grab a little bit of everything or even go back for seconds. My recommendation is to stick to one protein source, one carb source, and the normal fruits and veggies. By giving your body a good mix of nutrition, you will find your belly fuller, making those urges to reload on food less of a problem. Another key to enjoying a cookout while staying healthy is to think about the different meat sources. Everyone does love a big juicy steak, or a nice greasy burger, but those are usually what gets you in the most trouble. Turkey burgers are a great alternative to normal beef burgers and generally, the consumer won’t even be able to tell the difference unless you tell them. Lastly, but surely not least, it is important to watch what you consume as far as beverages go. Sodas and juices are filled with sugar that can ultimately make you hungrier and wanting to grab another snack. In addition to this, it may even dehydrate you if you’re out in high heat. The best substitutes for these drinks are water or tea. Cookouts in summer time are one of the greatest perks the season brings upon us. However, that doesn’t mean you have to make unhealthy choices in order to enjoy them. By keeping some of these different options in mind, you will have no problem enjoying the summer weather, with delicious food, while staying healthy all at the same time. That being said, go out and plan your next get together with some friends or family and spread the healthy lifestyle with everyone! Make it a habit to start each morning with a glass of water to kick start your day. Try to keep a big bottle of water with you throughout the day. This will encourage you to drink water more often. Try to keep track of how much water you drink to make sure you are getting enough! There are many fruits and vegetables that have a higher water content. Some good options are cucumbers, watermelon, and citrus fruits. Next time you are going grocery shopping pick up some of these foods that will help keep you hydrated. Limit how much alcohol you consume. Drinking large quantities of alcohol can cause dehydration. Make sure to drink plenty of water before and after you consume alcohol. A sports drink can hydrate you faster than water especially after and intense workout. Sports drinks contain dissolved minerals and nutrients that help replenish the body. There are many different flavors and brands of sports drinks to choose from. Having a variety to choose from makes drinking sports drinks and water easy to do. Find a way to remind yourself to drink water daily. Try setting an alarm or plan to drink a glass of water before each meal. Do what you need to do to make sure you don’t forget to drink enough water. Also, do not wait until you feel thirsty because you may already be dehydrated at that point. It is important to replenish all of the water our bodies lose each day. important to take action in keeping your body hydrated. There are many benefits of staying hydrated. 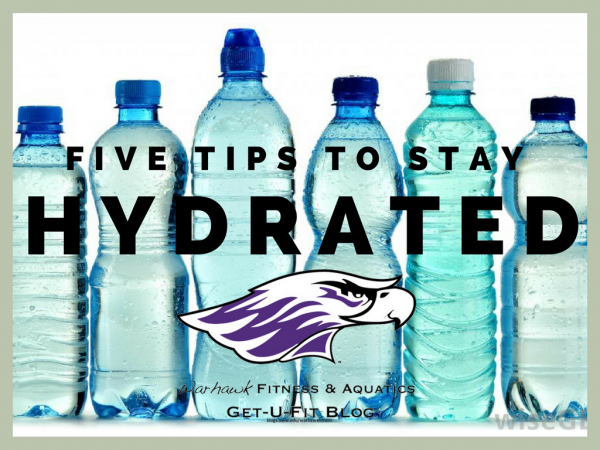 Hopefully these five tips will help you to stay hydrated every day!